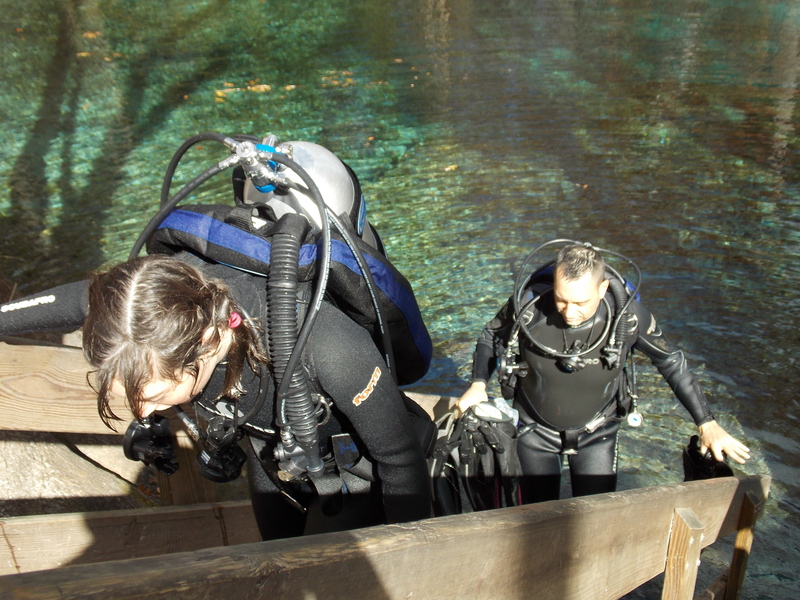 Paul and Daughter Thia walking up steps at Ginnie Spring after their last dive of the day. Tomorrow they will have their Scuba Diving Open Water Class at Troy Springs! They are getting more excited each day that they are getting closer to becoming a Certified Scuba Diver!